Full details of ‘Heroes To Zeros’ reissue announced. 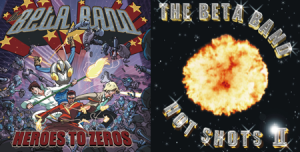 Friday sees the release of The Beta Band’s second album, Hot Shots II, the latest in their recently announced comprehensive re-issue campaign. 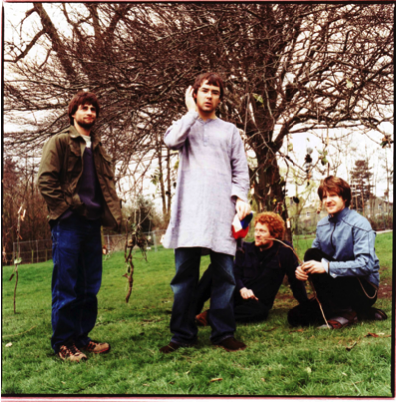 Released on double gatefold vinyl and CD, all purchases of the reissue from independent stores are accompanied by the third edition of The Flower Press, the short-lived fan club fanzine designed and put together by the band which was very much in keeping with their aesthetic. Next in the re-issue series is the release of their third and final album, Heroes To Zeros, on Friday 14th December 2018 on Because Music. First released in April 2004 on Regal, Heroes To Zeros is available on single gatefold vinyl and CD. Having relocated from London to Edinburgh to write and record their third album, the plan was to move their sound forward in a new direction by trying to capture the energy of their live performances. As a result, the record was more guitar-based, from the propulsive rush of Assessment to the inventive use of a sample from Siouxsie And The Banshees’ Painted Bird in Liquid Bird. Because have previously re-released a deluxe edition of The Three EPs in September of this year and a deluxe edition of the band’s self-title debut in October. Arguably one of the most acclaimed and loved bands of the past 20 years, by both fans and their musical peers alike, The Beta Band formed in 1996. 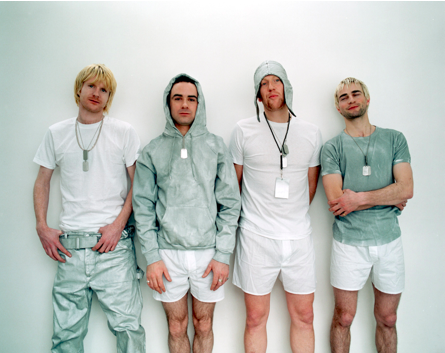 After a couple of early personnel changes, the band’s line-up from the release of The Three EPs until they disbanded in 2004 consisted of Steve Mason (vocals / guitar), Robin Jones (drums), Richard Greentree (bass) and John Maclean (sampler / keyboards). Innovative and singular, The Beta Band’s unique musical and aesthetic approach to everything they did set them far apart from their musical contemporaries. Together for a relatively short period of time, their three albums, The Beta Band (1999), Hot Shots II (2001) & Heroes To Zeroes (2004), would nonetheless help define them as one of the most exciting and cherished bands of their generation. Fourteen years after they split, the very existence of The Beta Band – a group who took large amounts of record company money and turned it directly into art – feels almost like a strange and incredible fever dream. One that, with these new reissues, can be experienced all over again.